DIY plumbing repair can be a daunting task, but with the help of Roto-Rooter's bathroom plumbing tips videos, you can actually see how to tackle the problem yourself. Watch as our experts help you fix a leaking toilet, replace a toilet flapper valve, plunge a toilet, and more. 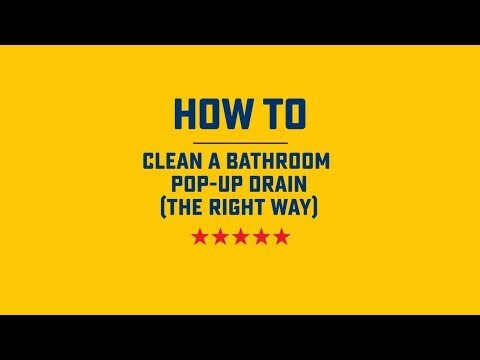 Along with our bathroom plumbing tips, our video library also includes information on flood prevention, water heaters, and drain and sewer line solutions, as well as fun items from our animal rescues and holiday collections, plus details on the technology our plumbing experts use every day. Of course, if you need help from a licensed professional in your area, you can call Roto-Rooter at 1-800-768-6911. Our teams are available 24 hours a day, seven days a week – and we'll be there to help when you need it most. Does your sink drain have bad breath? Sink stink is common in both bathroom and kitchen sinks. Fortunately, the plumbing and drain experts at Roto-Rooter are sharing some of their knowledge so that you can get rid of stinky sink drain odors with common ingredients you probably have in your house. It's basic chemistry to get a fizzy reaction from baking soda and vinegar. This combo works remarkably well to freshen sink drains and dissolve minor clogs. Watch for more sink stink remedies from Roto-Rooter. At some point or another everyone must learn to plunge a toilet. Simple, right? Yes and no. Bathroom faucet leaks that drip one drop per second can waste up to 3,000 gallons of water per year.